Penthouse 4+1 or 3+2 237-283 sq. m.
Maplewoods has full condo facilities, a mini-mart, hair dresser and a cafe. A Caucasian enclave. Extremely popular with Germans, Dutch and other Caucasians. In the Saraca and Bauhinia blocks, sound proofing of the living room's sliding doors reduce the traffic noise from the Bukit Timah Road but the bedroom windows facing the busy road does not have such double-glazed windows! 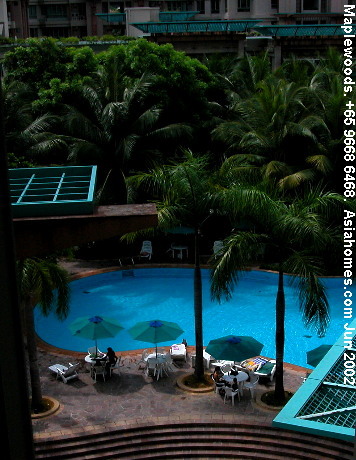 A big swimming pool shaded by numerous palm and tropical trees, wading pool, gym, tennis court, squash court, covered car park, 24-hour security, basement car parking, mini-mart, playground, sauna, putting green, BBQ area, fitness area, audio-visual intercom. Many young Caucasian and other children swim in the evening. Good expatriate community. Express downtown bus goes into condo. 5-minute drive to the German, Dutch & Australian schools. Around 10-minute drive to the Canadian, Japanese, United World College and Tanglin Trust. 15-minute drive to downtown Orchard Road. The balcony attracts many Caucasian expatriates although there are concerns for child safety as the railings are lower than usual. Potted plants are usually kept as the balcony is too small for tables and chairs. Ground floor units may have a patio. Some units do NOT have balconies. Some Caucasians dislike the high density but there are numerous Caucasian mothers and small children. Proximity to the German and Dutch schools mean that there is a large percentage of German and Dutch expatriates. I have seen older Caucasian children cycle to the school! 1. Conservation shophomes vary in quality. 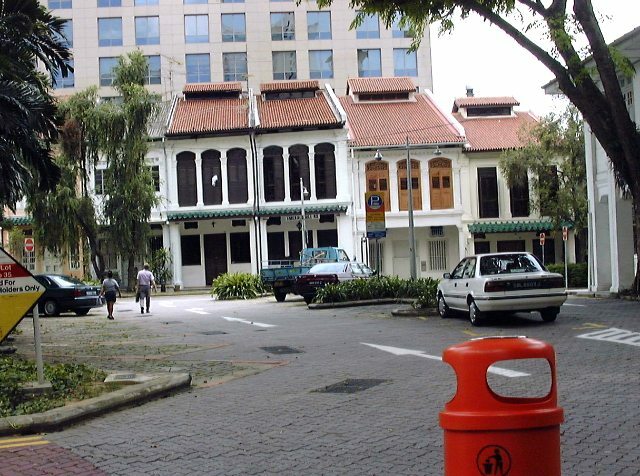 Most popular ones will be the Emerald Hill Road conservation shophouses which are within a 5-minute walk to the Somerset subway and Orchard Road. One or two units are available for rent. One of the units in the image was rented to an oil executive for $20,000! Click on image to view bigger image. Owners do get $10,000 - $15,000 rent for remodeled units as there is sufficient demand from expats who want to experience nostalgia an history in a great downtown location. No condo facilities obviously and no privacy. Orchard Road, Somerset subway and the Chatsworth International School is a 2-minute walk to the right. Surprising quiet during daytime as the area is off-limits to outside traffic and there are more convenient parking lots at the Orchard malls!. 2. Some of the Cairnhill Road conservation shophouses are quite pretty but some are really run down. See image on right. They have a loft or attic room with skylight. Click on image to view bigger image. One or two units are available for rent from $10,000. Some owners have divided the house into 2 parts for 2 tenants or 3 parts for 3 tenants but this is not common. 3. The ones in Chinatown area within walking distance to the Outram subway are in demand. They are located at Everton, Blair, Neil and Spottiswood Park Roads. One or two in this area may have wall cracks. Do be careful in the selection. A handful of units are available for rent. 4. One Peranakan shophome in Petain Road has great appeal to Caucasians. 5-bedroom, 4500sq. ft built-in area. This renovated unit with metallic mesh staircase has a unique one-of-a-kind appeal to Caucasian bankers. This is for rent at $7500. Petain Road is north and a 10-minute drive to downtown. It is not near any subway. 5. Kim Yam Road. 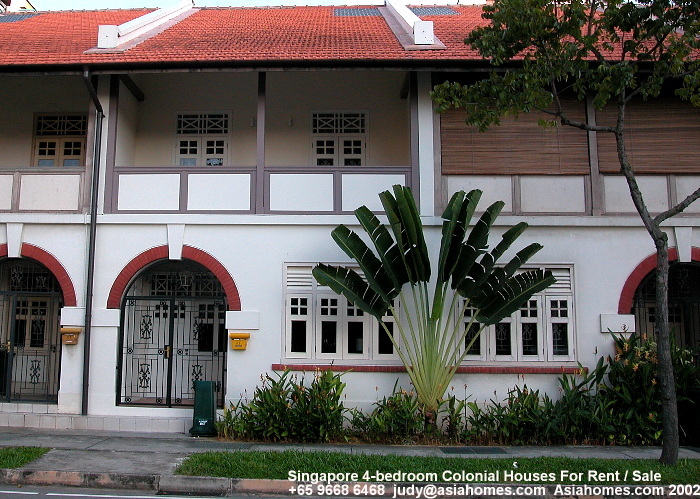 One big shophouse is available for rent at $13,000 and smaller ones of 3-bedroom at 1,400 - 1,600 sq. ft rent at $6,000 as at Nov 8, 2000. A 5-minute walk to Clarke Quay and the Singapore River. This waterfront al-fresco cafe area has great appeal for Caucasians despite on-going construction activities and worries about house security. The four remodeled 2 bedroom models renting at $6000 have been snapped up over the past 12 months. 6. Makepeace Road. A recently re-modeled wood board flooring. 3-level with one loft. Around 10-minute walk to the Newton subway. Fully air conditioned and enclosed air well. Asking rent is $10,000. Brand new. Fully air conditioned and all wood flooring. Large roof terrace. 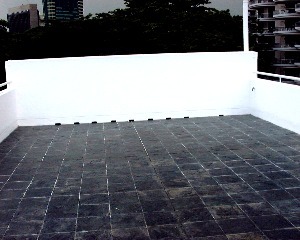 The air well has 2 plantar boxes (see image of air well and roof terrace below). Unit available in November. 7. Bugis Street's one bedroom with loft and other areas rent from $2,500 but usually there is no vacancy. Others are at Liang Seah Street, Mohd Sultan Road, Spottiswood Park Road. Some owners have had subdivided the shophome into small units with a communal kitchen or a kitchenette in a studio unit. Narrow width around 20-foot wide. 2 or 3-storeys. Less than 3 years old if remodeled. Usually there is no car parking lot in the Chinatown shophomes. The Cairnhill ones may have one lot at the back. Emerald Hill ones have public car parking nearby. Small garden or patio. Living area goes to dining area and then the back with kitchen, bathroom and store room or maid's room. 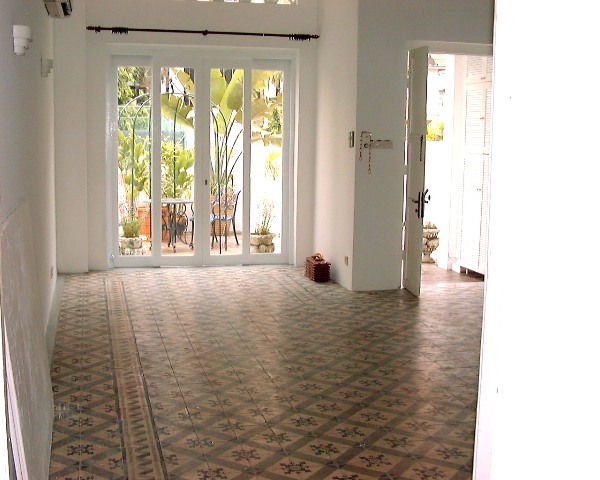 The living area may be ceramic tiled with old type or just plain modern type seen in condos, (as in the image on left, unit is for rent) or wooden floored. There may be a patio or small garden outside the living area. Level 2 may have 2 or 3 bedrooms, usually with wooden strips although some may have parquet flooring common in new condos. Owners are proud of the "original" wooden strips which are replicas of those in the old days. Bathrooms are modern and so are air conditioners. Click on image to view bigger image of wooden floor strips. The area near the air well between the front and the back rooms may have a long bath with open windows at the side. It can be a family area or part of the study room connected to the master bedroom. Level 3, if available may have attic room and high loft with an attached bath and skylight to appreciate the stars with the other significant ones. May have 2 bedrooms. One in Joo Chiat Road has a lounge pool at the back area. A roof terrace may be present. A jacuzzi bath for those who love to bathe in the public view. Large entertainment area for those who love barbecues and impress friends and associates. 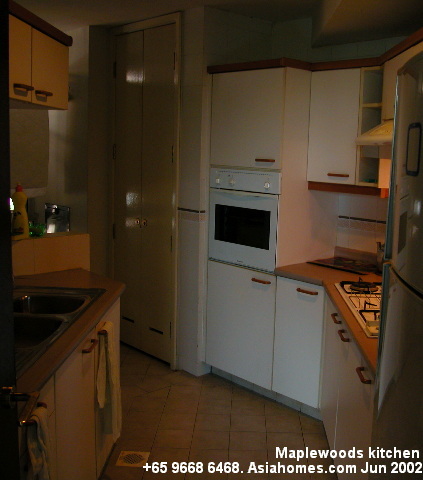 This Makepeace unit is available for rent at $11,000. Email judy@asiahomes.com or tel: +65 9668 6468. The air well may be enclosed or open. If open, the living and dining areas are usually cooled by fans. If enclosed, the whole areas are air conditioned. Most homes have a plantar box in the air well area (see image on left). Click on image to view bigger image. 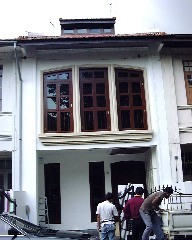 Renovation cost usually exceed S$1 million. 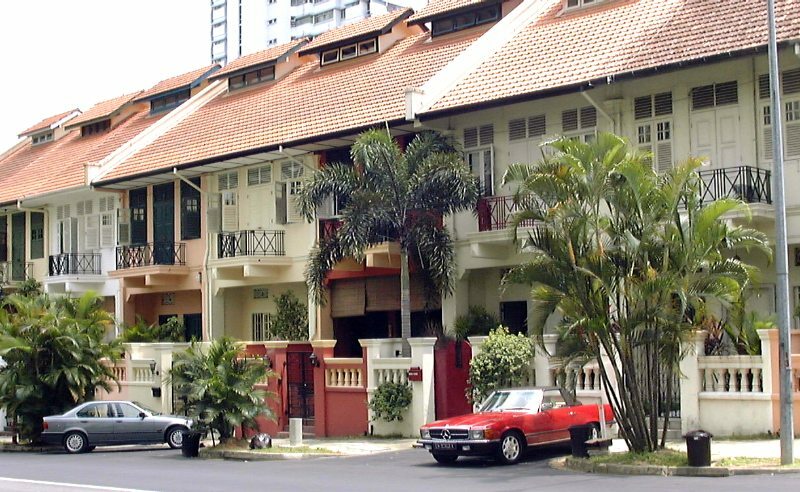 Rent in the Emerald Hill ones are $15,000 - $20,000 per month for the upscale units. Of all the conservation shophomes and Balinese-style house I have had seen, I like one at Everton Road. The front faces Everton Road. On entering, the living area is separated from the dining area by a display partition. Ventilation is provided by the air from the open air well as the living and dining areas are fan-cooled, not air conditioned. From the living to the dining area, there are a few steps on the side to access the kitchen and backyard. 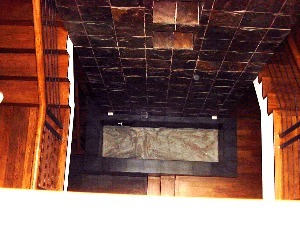 At this side, cascading water flows down the steps into a good-sized koi pond which is the floor of the air well. Bright daylight and air comes into this area. The nostalgic ambience of the wooden floor strips, the historical past romances you while gently flowing waters and the orange koi fishes calms you after a hard day's work. The koi fishes will swim to one corner to avoid you as you are a stranger but for the Tenant, they look forward to meeting you. You could talk to them about your problems and they will listen without interruptions. Koi lovers are known to do so. Sound crazy talking to fishes? 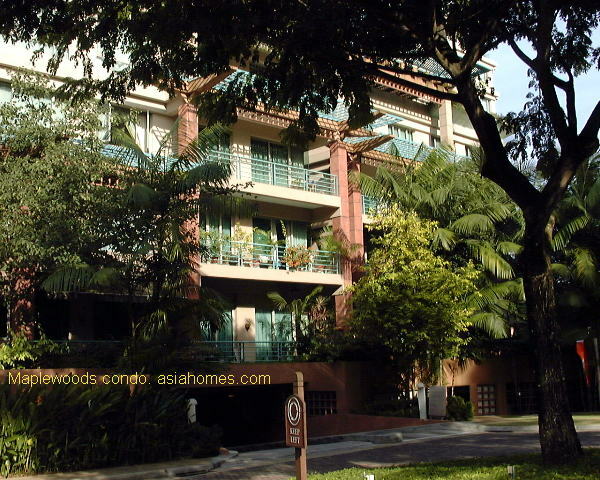 But this unit excited our American single who had seen the whole of Singapore shophomes with Realtor Christine and I. It was rented at $10,000. This was one case of good timing and good co-broking. You win some cases, you lose some (see case study below). Some units may be available. Networking with expats to get what you want and give what they want. Are Indian, Chinese & Indonesian nationals more "difficult" clients? "My husband spent time and money on house-hunting with the Indian prospect and he finds an apartment with other agents. It is not that we don't want to accept anymore Indian referrals from you, but we had similar problems with the Indonesian and one American Chinese," explained the wife. Another single Caucasian had also found something else recently. Much work done with no results. Therefore, the wife decided on qualifying prospects. But in this business, you can pick and choose only if you have lots of prospects and this was not her situation! You cannot live on fresh air but you need the network with the expats. Some of these will refer cases to you if you are that good but unlucky. "My husband said I was stupid to show her so many apartments for several weeks and now she found Leonie Condotel with another agent although she said she did not like Leonie Condotel," regretted one Realtor who had spent so much time including lunch with a Finnish lady to view all the upscale apartments. "We have no complaints about your Realtor who had house-hunted with us for the past 3 days. It's just that we were visiting friends at The Fontana Heights on Saturday morning and an agent was there. She took us to see one unit at Fontana Heights and another one at The Regency Park. We have decided to see one or the other, ." said one Caucasian American prospect with $8,000 - $10,000 rental budget. This realtor had not shown her the above 2 units despite my advice to do so. "The Horizon Towers unit was very well renovated and the Owner offers to reduce the rent further..." one American Chinese banker told me when all the time she said she disliked Horizon Towers as it has a very small dining area. The other agent had persuaded her to see this unit which I had not shown. I had great difficulty in persuading an old Orchard Bel-Air landlord to do some renovations on the kitchen. The bathroom's WC was full of cockroaches as it was a company property and here, there was no decision to rent. "You had the first bite of the cherry," said the banker and I could not get her the type of housing she wanted. I have new several listings and contacts though. Rental realtors are self-employed. They need to have the financial resources if they want to succeed. This applies to all small businesses. If you pick and choose referrals, you end up with no referrals because being fussy, you end up with no caseload. After all, most referrals come when you build up your reputation amongst the expatriate community and if you don't make a name by being hard working and taking up numerous cases, you don't get known by the expatriates. Not all expatriates have low rental budgets of less than $2000. Dreams of landing the big account are just dreams if you pick and choose when you start your career. You need to do your leg work and gain the experience. In any case, the big-time will come when you have the experience and the network. But it will take more than one or two years of commitment. Small cases add up to the same revenue as one big case. You have not put all your eggs in one basket. In bigger accounts of over $10,000 rentals, like the bungalow plus pool cases, you have less choices and great competition from the big firms and experienced realtors. You may end up with no closing. Therefore, a small account which closes is better than a big account with no closing as time is money for the self employed realtor. Felicium 4+1 1800 sq ft facing pool. $4,000. Large palm trees present a greenery view and a waterfall cascading sound is heard distinctly when the sliding doors of the living area is opened. The waterfall will be "switched off" at 10 p.m. Large balcony 14 feet x 4 feet approximately. Felicium lobby 5, 3+1 1500 sq ft $3,300, facing green and the round about. Corner unit. More privacy. Balcony linking living area and master bedroom. No views of apartments opposite. 03-03. Smaller living and dining area compared to the 4+1 but two balconies. Felicium 4+1 1800 sq ft $3,500. Facing a stalled construction of The Blissville condo. A large "pond" on left. $4,000. Large balcony. Tranquil. Landlord accepts a termination clause if the construction is revived. 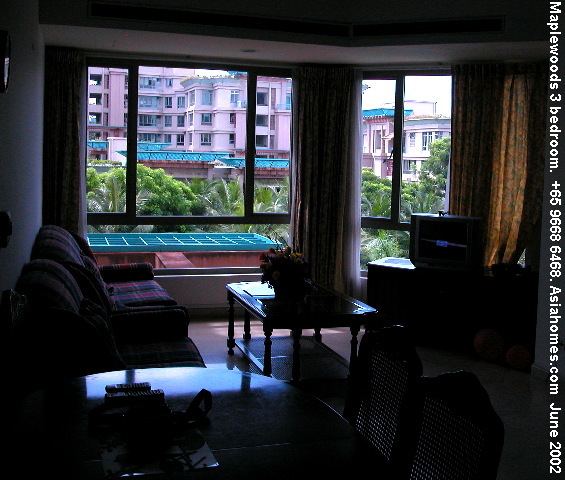 Large tall green trees in a wide row are seen from the living area as if you are living next to a jungle. Very private and quiet so far. Bauhinia Lobby 14+1 1800 sq ft facing road. $4,000. All bedrooms facing the busy Bukit Timah Road. Traffic noise reduced by 80% if the sliding doors of the living area are closed. Maplewood 4+1 1700 sq ft $4,000. No balcony. Other units available. 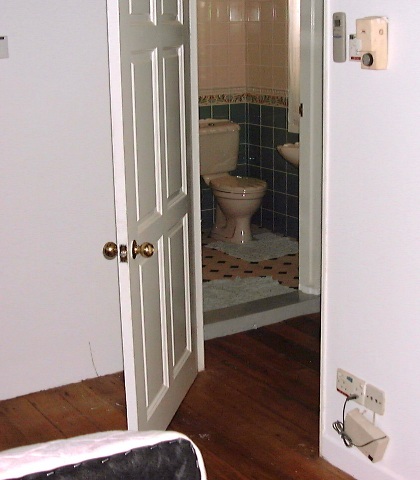 The young Australian couple had no comments on viewing above units. German family with one 2-year old wants 3+1, >1500 sq. ft, Maplewoods. Rentals in 2003 have dropped considerably. A 3-bedroom of 1300 sq .ft rents around $2,500. 4bedroom around $4,000 if there is no construction views. Units facing The Wilby Residence and a stalled Blissville condo construction are not in demand. This will be the Felicium block. Casa Esperanza condos are next to Maplewoods. 1. 2p.m. Casa Esperanza 3+1 1850 sq. 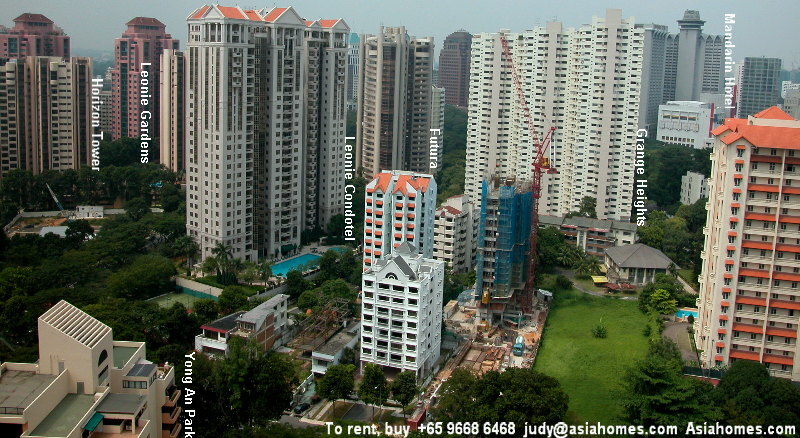 ft $4800, Blk 995, 6th floor. Another unit 3+1 2000 sq. ft $5000. 2. 2.30pm Maplewoods Felicium Court #05-11 4+1 1800 sq. ft $5000. 4. 3p.m. Maplewoods 3+1 1500 sq. ft $3500 Chempaka lobby to meet agent Michelle. 5. 3.30p.m. Maplewoods 3+1 1496 sq. ft $4,000 pool view. Not facing main road. 6. 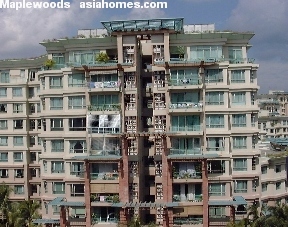 Maplewoods with a big roof terrace 3+1 1500 sq. ft asking $5,500 Felicium Court. The terrace is used as a place for BBQ. Facing Bukit Timah Hills. Call Asia USA Realty +65 9668 6468. 7. 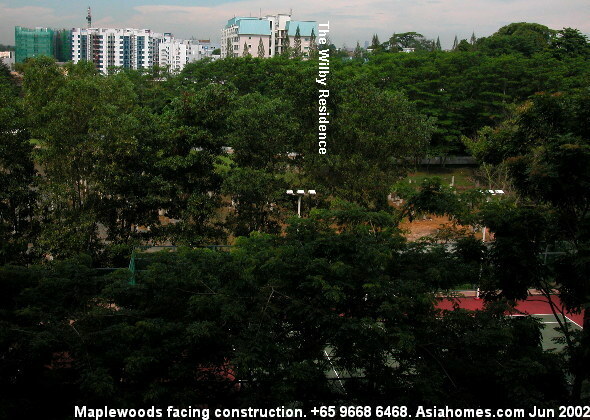 Maplewoods Bauhinia 2nd floor facing the main Bukit Timah Road. Owner getting fed up of expats viewing and then not considering this unit. It is renting cheap if you don't mind the noise. 8. Maplewoods Penthouse 4+1 2995 sq. ft $8500. Pool view.